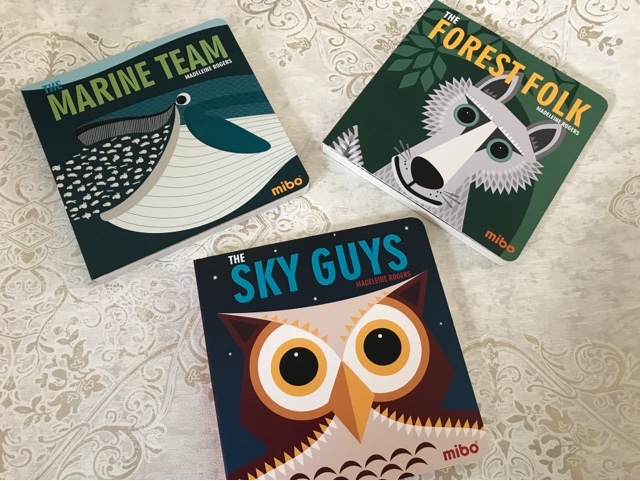 I have been reviewing the fantastic Mibo books ever since they released their first one way back in 2014 and they are back again, as they expand their collection with more board books. This time we have smaller versions of The Forest Folk, The Marine Team and The Sky Guys. 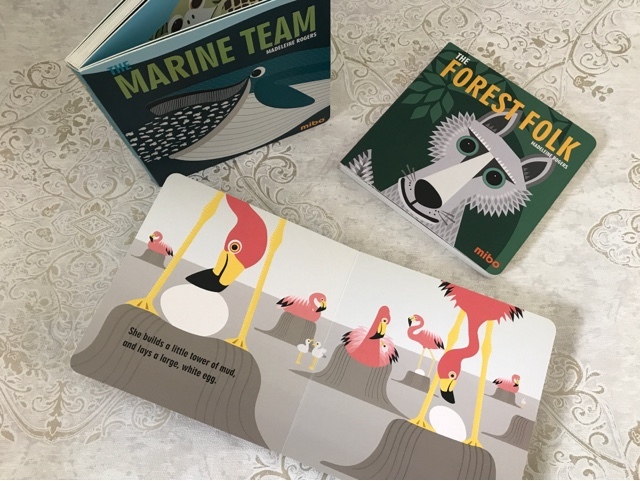 Featuring five animals from three different environments, little ones aged from 0-3 can have fun exploring with the use of both pictures and rhymes. My youngest daughter seems to have grown up with these books and what's nice is now I get to introduce them to my young niece too. 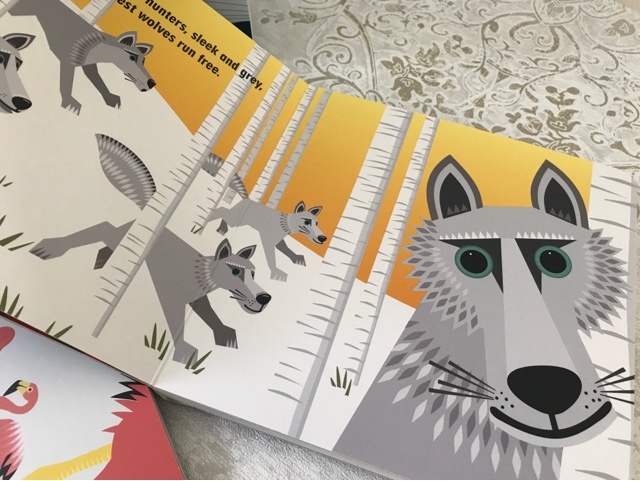 The illustrations are modern, fun and vibrant, offering plenty to look at, and not just the animals themselves, the colours on the pages and the scenery/backgrounds that surround the animals. It teaches them basic facts whilst remaining entertaining. Every other page has just one sentence, simple and making it easier for kids to stay engaged with the content. What I like to do when reading is then ask questions. For example one sentence says, "You might just spot a polar bear not far from the North Pole", so I'd ask, "what else might we find at the North Pole?". Even though the books are primarily aimed at 0-3 year olds, I think they work up to around the age of 6-7 as the facts that are written are quote unique and the older the children get, the easier it becomes for them to remember these facts. 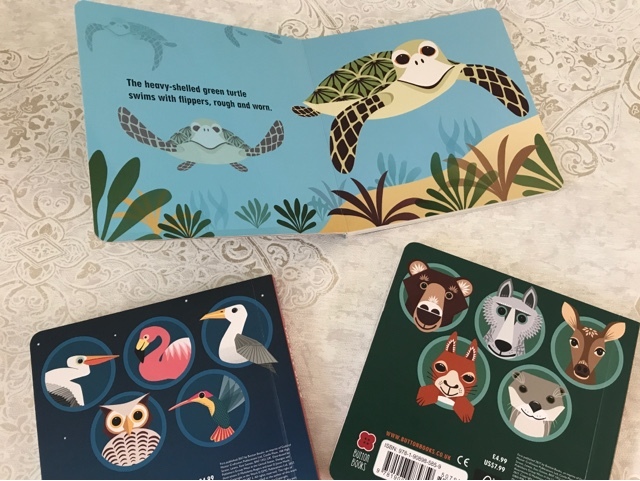 Each board book is durable and perfect for young children handling them and they fit in perfectly with the rest of the range. They are a fabulous introduction to fact based books. Priced at £4.99, with Christmas coming up I think they'd make ideal stocking fillers. These look really good. I've seen them before but we are yet to read them. Oh these look fab! Really like the bold illustrations, my 1 year old seems to prefer illustrations like that so I'll have to look out for these books.